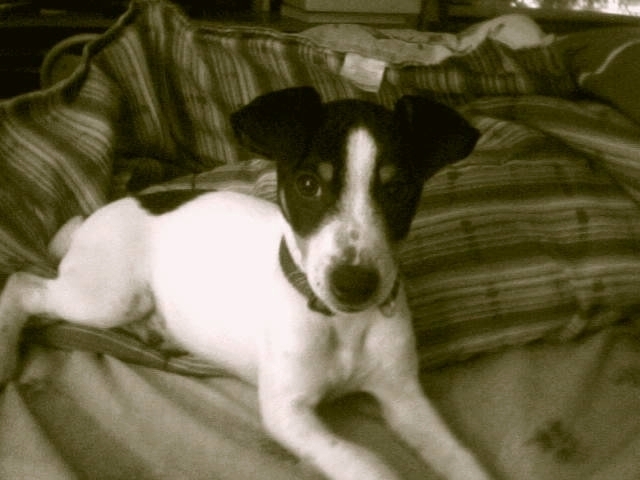 The Smooth Fox Terrier is a cheerful and active dog of square proportion. The skull is flat and narrow, topped with ears that are v-shaped and fold forward. Eyes are dark and circular, with an expression of vivacity and intelligence. Jaws and teeth are strong, and the nose is black. The body is compact and muscular, with a short back and evenly proportioned legs. The tail is set high and carried gaily, docked to three quarters of its original length. Feet are round are compact. 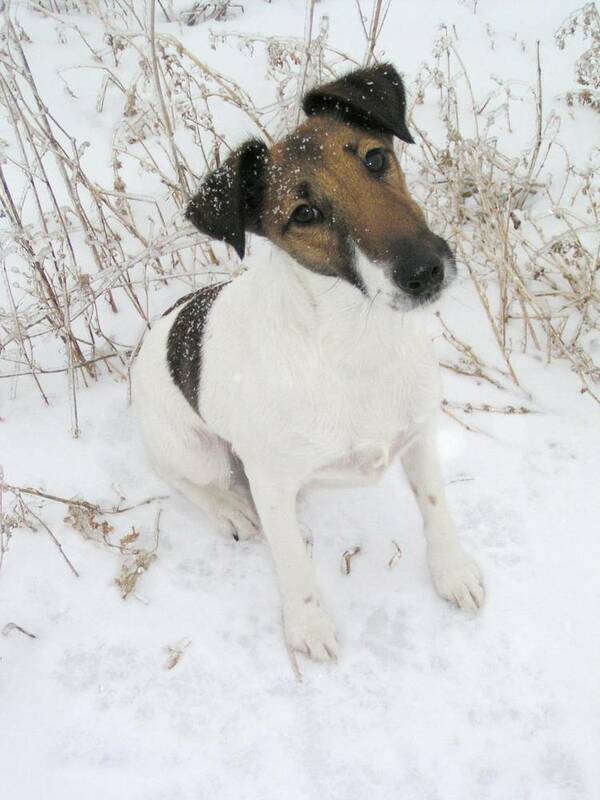 As the name would suggest, the Smooth Fox Terriers coat is smooth, flat and hard. 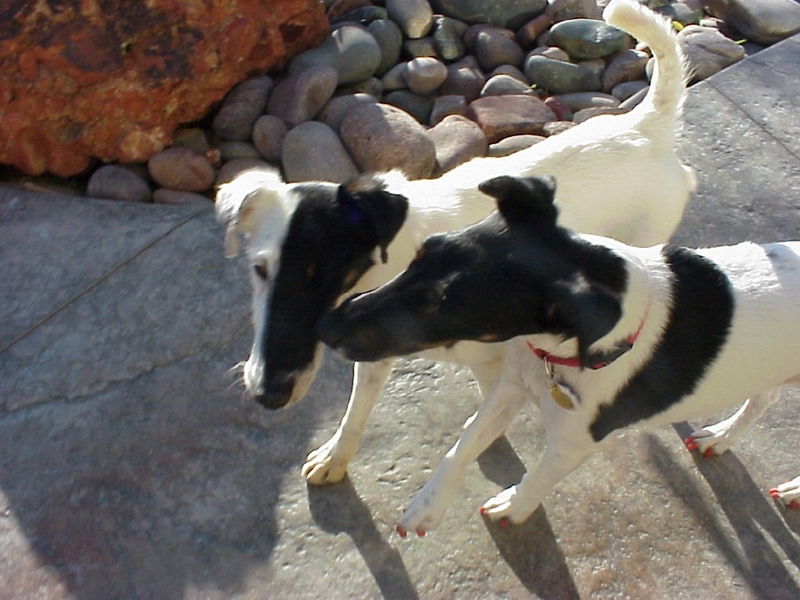 Coloring is mostly white, with scattered dark markings. Red, liver or brindle markings are not considered to be in conformance with the standard. 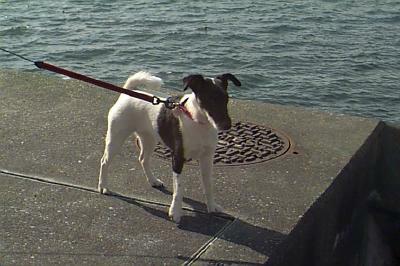 Height (Male) Less than 15.5"
Common Misspellings Smoothe Fox Tarrier, Smooth Fox Terier, Smooth Foxterrier or Smooth Focks Terrier. 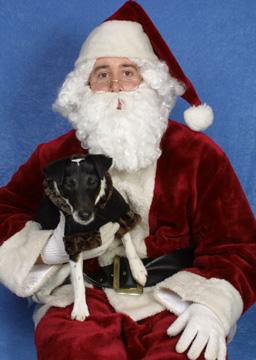 The dog is happy, energetic and curious, always eager to participate in family activities and embark on new adventures. 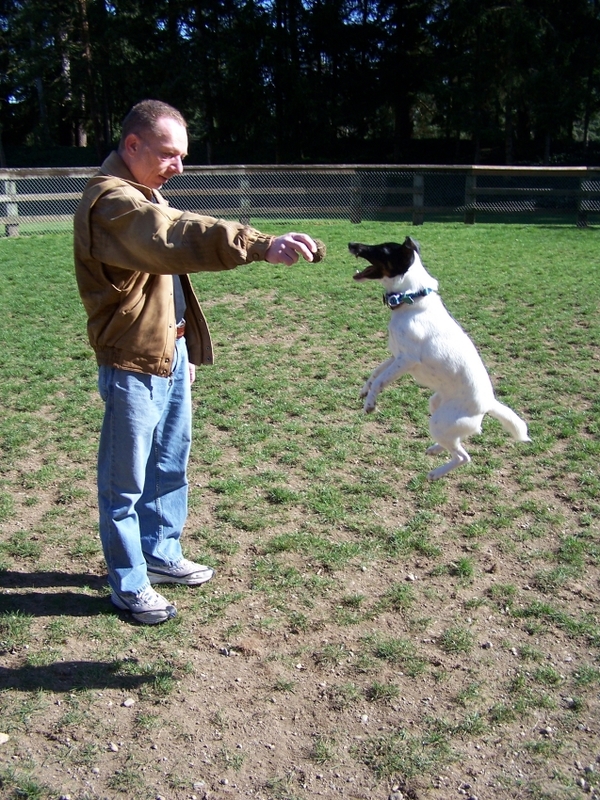 The Smooth Fox Terrier is fairly accepting of strangers, though it takes some time for it to play and interact with a new friend the way it does with its family. The breed is not naturally inclined to get along with other pets, but if raised with them from a young age it can be taught to accept them. Friendliness toward dogs is better than most terriers. Ideally, you should have a small yard for the dog to run around in during the day, but make sure it is well fenced since terriers are diggers. 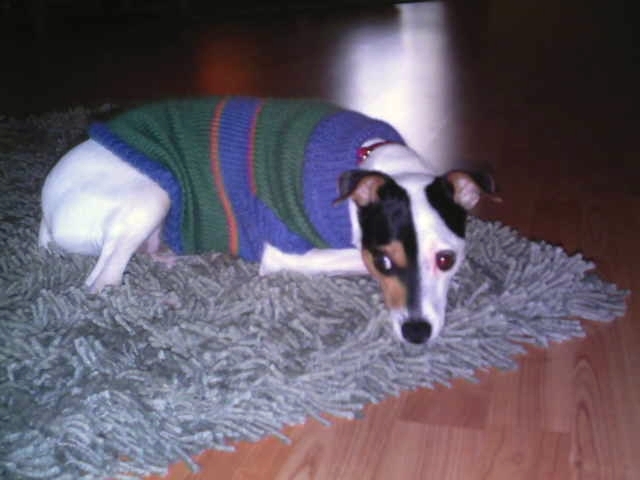 The Smooth Fox Terrier does well in most climates and can sleep outdoors in warm weather, but it should always be allowed to sleep inside with its family whenever possible. Socialization with cats, and to a lesser extent other dogs, is important to ensure that the dog does not become aggressive. Coat care is minimal. 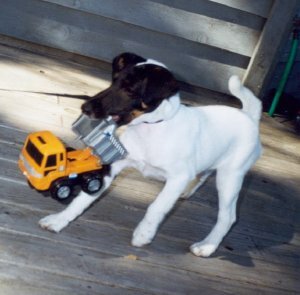 The Smooth Fox Terrier is a long lived and healthy breed, but some are known to develop cataracts, distichiasis, Legg-Perthes and lens luxation. A 1790 painting by Colonel Thornton of his dog, Pitch, is perhaps the first recorded evidence of the breed. 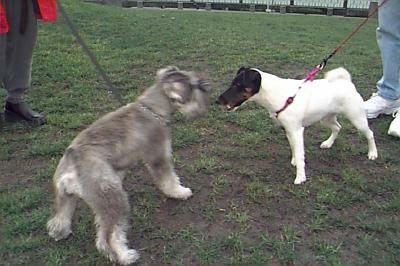 For most of their respective histories, the Smooth Fox Terrier and Wire Fox Terrier have been thought to be different varieties of the same breed, but the current thought is that the two dogs actually developed along different lines. 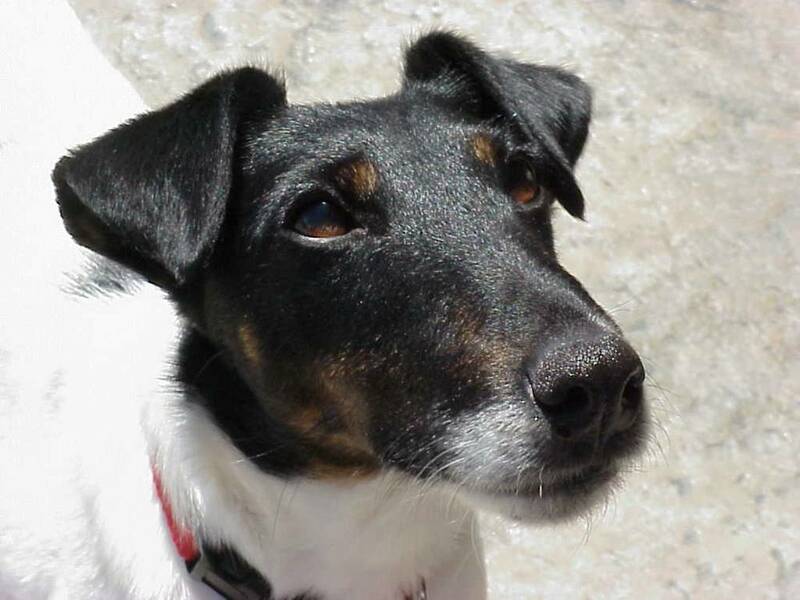 The Smooth is likely descended from the Smooth-Coated Black and Tan Terrier, Greyhound, Beagle and Bull Terrier.Aside from the old terrier standby of exterminating rodents and other pests, the Smooth Fox Terrier was also used as a fox bolter. Accompanying a Foxhound pack, the quick little Fox Terrier would bolt after the fox, scaring it from its hole. In this line of work, dogs with white coats were preferred, as they were more easily discernible from the fox in the dark. 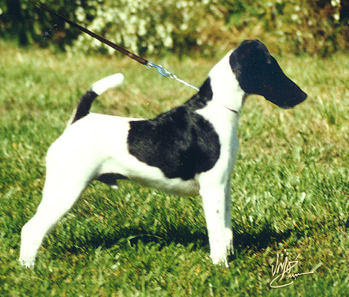 The Smooth Fox Terrier was one of the first breeds to be shown in the ring, entering dog shows about twenty years before the Wire Fox Terrier. 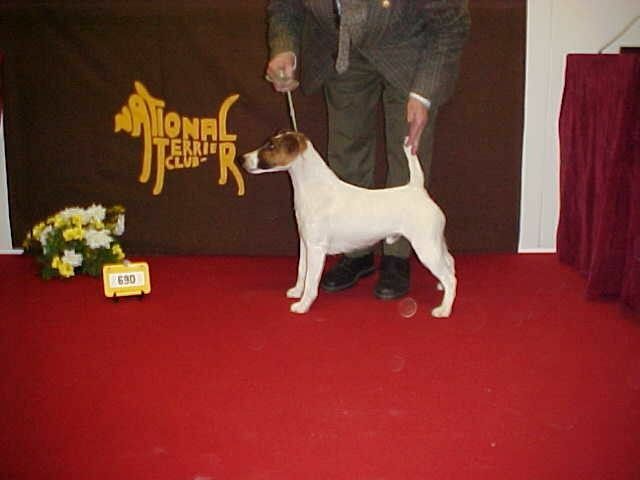 The Fox Terrier (both Smooth and Wire) was recognized by the American Kennel Club in 1885. Though many at that time already viewed the Smooth and Wire to be different breeds, the AKC did not formally grant that status until 1985.